Updates that performed on iPhone in all areas, both hardware and software seems to still leaves an empty space in their defense until easily attacked by opponent’s camp striker Android and BlackBerry. Instead of fixing weaknesses in previous products, iOS 5 and iPhone 4S actually have significant problems in battery life side. Even though Apple officially has been anticipated by updating iOS with iOS 5.0.1 version which believed able to eliminate the problem, several iPhone users still dissatisfied its batteries performance. So, what would you do? Is not use them entirely so that keep iPhone battery full? Not exactly, there are some things can we do to keeping them long lasting. At least you need not to charge it every day. As of this writing, Apple recently release 5.0.1 iOS believed to have omitted bugs on resources usage. 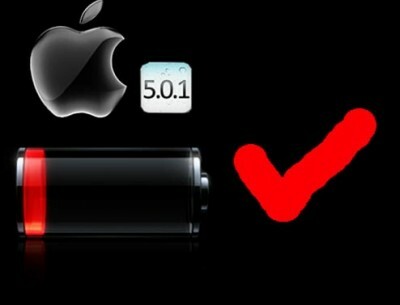 The iPhone 3G users, iPhone 4, iPhone 4s, iPod Touch 4th Generation, the iPad, and iPad 2 could perform this update. Way too easy. 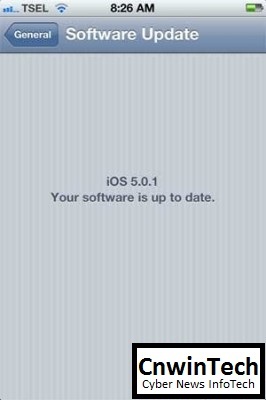 For those that has been updated to iOS 5, then you able to update via OTA from Setting > General > Software Update. If you still using iOS 4.x.x you need make an update via iTunes. You may find this option by browse through following pattern. 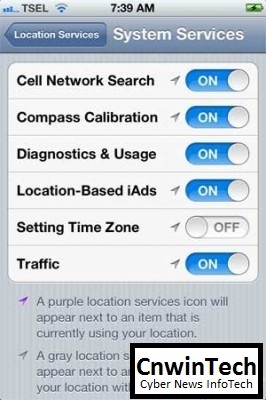 Setting > Location Services > System Services > Setting Time Zone > On/Off. Slide On option into Off to shut it down. 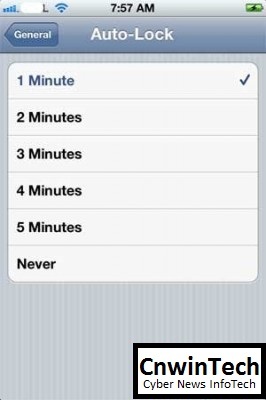 Trustworthy, before iOS improved into 5.0.1 version, this feature will always ensure your iPhone not switching from one time zone to other time zone. And these will makes iPhone battery continually squeezed for GPS job and network, even though your phone from two days ago was in the same city. Though it was improved, it is better you perform this to reassure. On iPhone, third-party applications can send periodic notifications which will requires an Internet connection by force aka ‘push’. More and more application that you install, hence more and more apps that queue up to sucking your battery power. 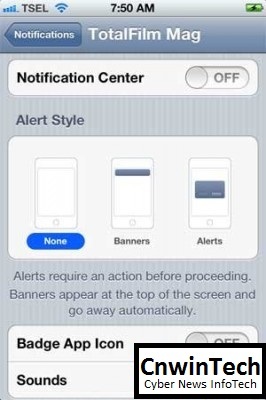 Just turn off notifications like this via Setting > Notifications > In Notification Center. 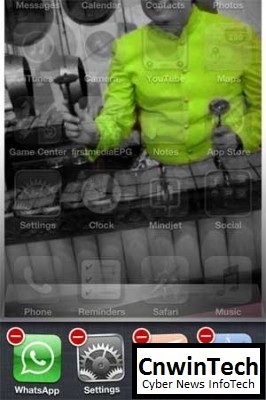 All right, suppose you have already found a line of third party apps that are there. Select apps referred, and then set everything became off, including alerts style are made into none. When only turn off Notifications less enough, you can also shut off Location Service related with third-party Apps. Yes of course less important. Like games or several strange applications that suddenly requires Location Service. 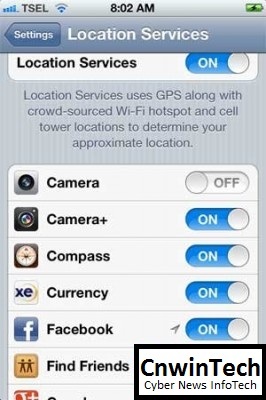 Facebook and Twitter probably would using with a right Location Service but not with other applications. Switch off via Settings > Location Services. Then choose Apps meant, slide selection On into Off. Well, this is anyway are common. Level of brightness on screen more or less will effect on reduced power states on battery. Decrease as needed. 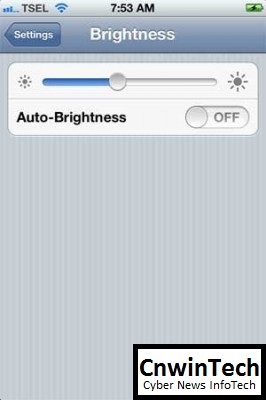 The way, tapping Settings > Brightness and adjust brightness according to your need. 50% down no matter it feels will not damage your eyes really. Make it more secure also, turn off its Auto-Brightness. By reflexes, iPhone users would generally shut off screen when already not used. By simply pressing power button once. But not mean there are still forgetfulness. Turn it off automatically within certain time period will probably be more helpful. How: Settings > General > Auto-Lock. Okay, here’s the story. In addition to email from iCloud account, these emails non actually push. 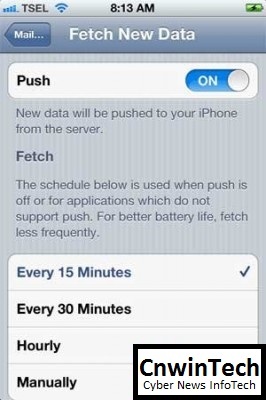 This means that you do not need to enable push completely, because after all iPhone would take periodic aka fetch. Unless you have an email account on iCloud, then you could securely shut off push, then choose email retrieval time period accordance with desired (Fetch). The way, go to Settings > Mail, Contacts, Calendars > Fetch New Data. Multi-tasking capabilities can be extremely useful, however on the other side could making batteries and your phone system off styles. Therefore always switch off apps that are not used. The way is by pressing a home button twice for showing apps that are still running, and then press one of them, press and hold down until it pops red circle on each end of such apps icon. And then click the red mark to switch it off. 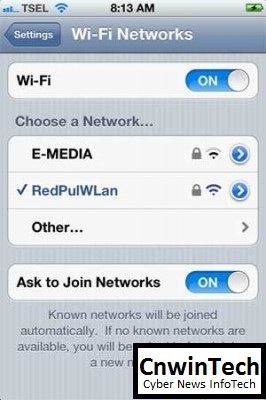 When would you usually use WiFi to your iPhone? Whether specific place, or in specific times? Or you no matter completely, want to use mobile data or WiFi important connecting with internet? For you who is in first option, better close WiFi search option. And switch on while on places where you would normally to accessing WiFi. Specials for iPhone 4s users, you will probably have unpleasant while things that do not intentionally turn on SIRI even though screen is locked. Normally happened when you unintentionally pressing the Home button a little longer. 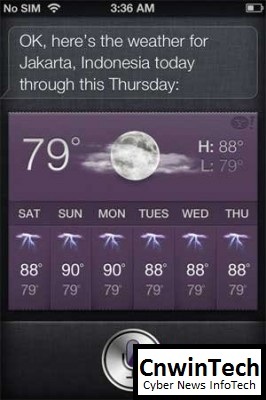 SIRI will be active and certainly the screen will also active immediately, it’s not good for your batteries. Switch off via Settings > General > Passcode Lock.